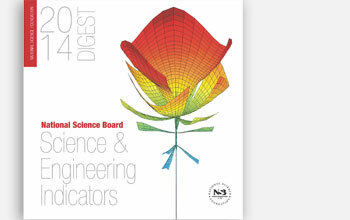 Science and Engineering Indicators (SEI) is first and foremost a volume of record comprising the major high-quality quantitative data on the U.S. and international science and engineering enterprise. SEI is factual and policy neutral. It does not offer policy options, and it does not make policy recommendations. SEI employs a variety of presentation styles—tables, figures, narrative text, bulleted text, Web-based links, highlights, introductions, conclusions, reference lists—to make the data accessible to readers with different information needs and different information-processing preferences. The data are “indicators.” Indicators are quantitative representations that might reasonably be thought to provide summary information bearing on the scope, quality, and vitality of the science and engineering enterprise. The indicators reported in SEI are intended to contribute to an understanding of the current environment and to inform the development of future policies. SEI does not model the dynamics of the science and engineering enterprise, and it avoids strong claims about the significance of the indicators it reports. SEI is used by readers who hold a variety of views about which indicators are most significant for different purposes.